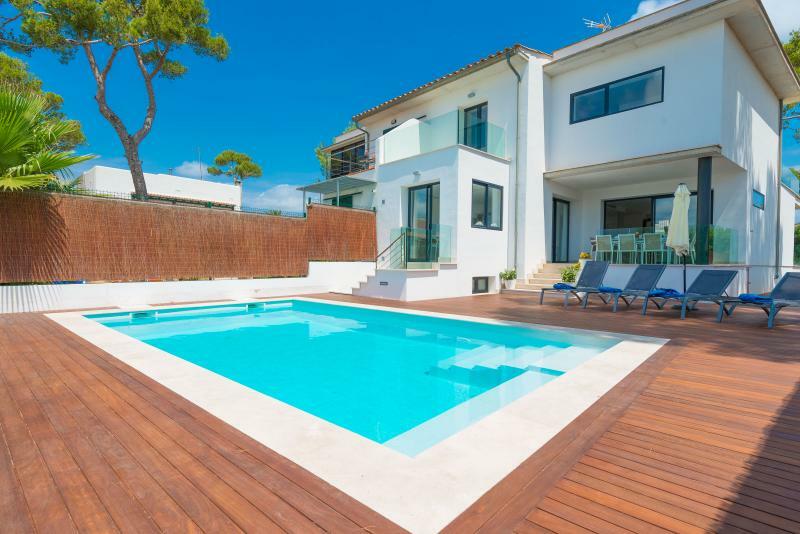 Welcome to this beautiful chalet located just 200 metres from the sea in Can Picafort. 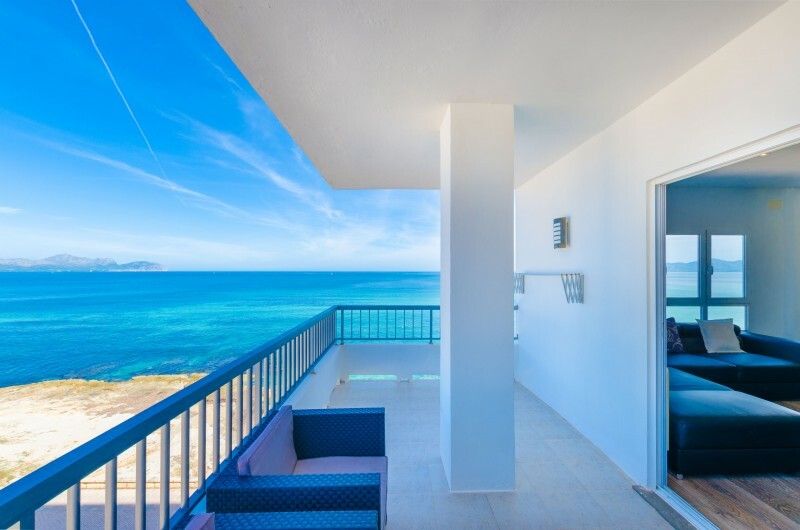 It becomes the perfect place to stay for 5 people in love with the sea and the beach. The exterior area of this property offers a great porch where you can enjoy your breakfasts with a good reading or a delicious lunch or barbecue in the evening. There is also a great garden area where you can bask in the sun on one of the 2 sun loungers or right on the lawn. This is a way of revelling in the sun beams while in peace but heading to the beach will also be the best plan! Just grab your beach towel, and some snacks and walk for a few minutes to the shore. The property is fenced and there are neighbours around. The house comprises two floors for all its spaces. On the main floor you will find a cosy living - dining room with two sofas, satellite TV, AC and a dining table for 6 people. The kitchen is independent and it features a ceramic hob, all needed utensils to cook without problem, as well as a beautiful island and a table for your meals. The laundry room offers a washing machine, an iron and an ironing board. There are three bedrooms. One is on the main floor and it has a double bed and a closet. The other two bedrooms are on the inferior level, one with a double bed and a closet and the other with a single bed. We can prepare a cot and a high chair if you are travelling with your baby. Then, there are two bathrooms for the whole accommodation, one with a tub on the ground floor and the other with a shower downstairs. Three fans and oil central heating complete the equipment. Can Picafort is a coastal town with a wide variety of bars, restaurants, shops, ice-cream parlours and a lively atmosphere, specially during the summer. 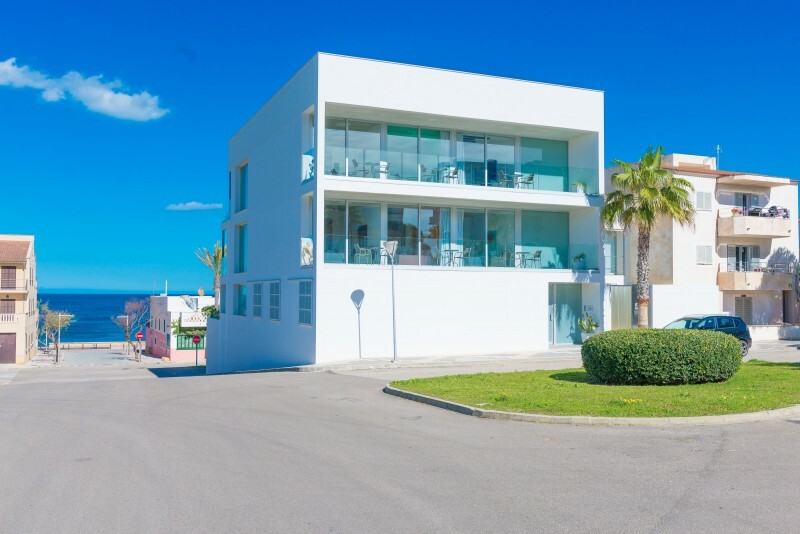 It is perfect for those who love the beach and enjoy taking long walks along the promenade. The white sand and crystalline water invite to practice water sports. You can spend a nice day visiting the street market in Alcudia that takes place every Tuesday and Sunday and where you can acquire local products and know the wonderful town centre.